Hi, my name is Andrea, and I would like to share with you just how a young, adventurous girl could ever choose to enter a cloistered contemplative community in the middle of nowhere. I was born into a very close-knit family and I am the seventh of ten children of two loving Catholic parents in a town just outside of Evansville, Indiana. From early on, the stage was set for each one of my siblings and I to realize the importance of active faith and prayer in our daily lives. Every Sunday, no matter what, our entire family would pile into our van and go to Mass together. I can clearly remember saying prayers with my family before meals, at bedtime, and during our frequent long van rides. Throughout the week, I could often find Mom praying the rosary or reading the Scriptures or other spiritual material. About once or twice a week, we would pray the rosary as a family by Mom and Dad’s choice, for sure not by our choice. One of my earliest and fondest memories of prayer is from before I began school. Mom, an older brother (also not in school), and I would sit on the kitchen floor as we ate oatmeal out of the pot. Mom led us in a song in which we took turns thanking God for various things He had given to us. One of the things that I can now see that God has given to me is a unique sense of adventure and the desire to be different from others. Being from a large family in this day and age surely put me in the category of being different from others. Within my own family, I was also blessed to have several opportunities which none of my siblings were able to enjoy. Of these opportunities, the first major one began when a deaf friend invited me to attend a preschool designed for the deaf and handicapped even though I myself had neither of these conditions. After a year and a half, I could say as much in Sign Language as I could verbalize. I have been fortunate to be able to maintain this fluency due to a very close relationship with this friend. In fact, I interpreted for her during many classes and events beginning at age 10 and continuing until age 19 when I entered the monastery. After preschool, I followed my older siblings to the Catholic grade school at our parish. During my 9 years there, I can only vaguely remember two religious sisters teaching there. I myself only had one of them for a few weeks. Despite the lack of contact with female religious, I can remember feeling some attraction toward religious life. Maybe this attraction came from my sense of adventure, to do things differently than others. This sense of attraction seemed to come to a high point in October of my third grade year when I had another unique opportunity. This time, the opportunity God presented to an older brother and I to be able to join Mom on a pilgrimage to Conyers, GA where our Blessed Mother was appearing to a woman. Being in the third grade, I did not understand a lot of where we were going or what we would do. My sense of adventure led me, a 9 year-old, to expect to see our Blessed Mother. I did not see her. Instead, I had a very profound experience of her presence and God’s special love for me (which He has for each one of us). This experience led me to believe what I had always been taught, but never knew for myself, that God has a special plan for my life. I understood this “special plan for my life” to mean that God wanted me to be a nun. I never said much about this experience to anyone because I thought that all girls who went to Catholic Schools thought they had a call from God to be a religious. As I moved through my grade school and middle school years, I began to realize that this strong attraction to religious life is not as normal as I thought. Rather than my desire to be different kicking in and me telling everyone about these thoughts, this only caused me to push the idea even farther out of mind. Besides, I was 9 years old and still had lots of school ahead of me before I had to deal with this possible calling. Therefore, I enjoyed growing up, helping at home, going to parties and school, and being with friends, but I could always tell I was different from others. Oh, I was normal in the sense that I had crushes on boys, hated homework, and liked some parts of school (recess) more than others. Still, it was continually becoming more and more apparent to me just how different I was from my classmates in terms of family size and the way we did things. Slowly, I began to truly appreciate these differences. As my class prepared for Confirmation during our eighth grade year, my attraction for religious life and the realization of how different I was from others in my class seemed to flood over and consume most of my mind. For one reason or another, those of us who attended the Catholic School got to attend religion classes four days a week and Mass one day a week as part of school in addition to weekend Mass and Confirmation classes on Sunday nights. The public school students of our parish, however, only got to attend the weekend activities. Some of the others in the Catholic school complained about how unfair this was. For me, however, it was just something we had to do, not good or bad, just how it was. In fact, as I discovered, I enjoyed learning about my faith. Now, I see this as yet another opportunity God gave to me. I was still in control of my life. He kept me attending a Bible Study during my first two years of high school. Throughout this time, I really began to feel that God was calling me to begin giving some serious thought as to how I would spend my life. I could see that my relationship with my boyfriend was not going anywhere. It was almost like a “mutual crush”, if I can put it that way. When he moved, I decided that would be a good time to breakup and really try to follow where God was leading me. When I, as it were, gave the reins to God, He started me on an adventure I will treasure deeply for the rest of my life. Around this time, I was invited by a friend of Mom’s to attend a Youth 2000 retreat (a Eucharistic centered retreat). I’m not really sure, humanly speaking, why I went, but I ended up going to three more Youth 2000 retreats within the next two years. Ever since I can remember I have wanted to go to a retreat that my family talked about called TEC or Teens Encounter Christ. However, after my 2nd Youth 2000 retreat, my desire to attend a TEC retreat really became a fire within me. I ended up making four TEC retreats over the course of three years. This amounted to at least 7 retreats within 4 years time! As a result of these retreats, I knew that I really had to discover how God was leading me to live, not how Mom, Dad, others, or I thought I should live. I knew I had to let loose of the reins a lot more so God could take me on an even greater adventure. I can remember having numerous talks with Mom, Dad, siblings, friends, and teachers about what I could or might do with my life such as being a mother, teacher, pharmacist, and more. I remember talking with my deaf friend about this most often. Frequently, we would simply be conjuring up ideas as young teenagers often do. Routinely during these discussions, it would come up how abnormal it is for someone, such as myself, who is neither deaf nor related to a deaf person, to learn and maintain Sign Language skills at such a high level. We knew that my ability was truly a gift from God both for her sake as well as for mine. I could easily see how my receiving this gift and giving it back to God helped me to grow in my faith. Yet, deep down, I knew that God had more in mind for me when He gave me the ability to speak in Sign Language. My friend and I would talk about the various ways that I might use this skill such as raising my own children (possibly a deaf child), teaching deaf students, interpreting for the deaf, and more. These career options, however did not seem to be where God was leading our (His and mine) adventure. Attending the retreats I mentioned above opened me up to see that religious life really could be where God is calling me. I began giving my name to various religious groups simply to gather information about them. I also visited a few local monasteries and convents, but never felt like they were the place where God was leading me. After one of the retreats, I shared with my parents my desire to search into a religious vocation. I talked them into driving me 6 hours away to visit a convent near Michigan. The place was beautiful and the sisters there were very friendly and devoted, but I could just sense that God was not calling me to that specific monastery. Continuing my search and prayer for God’s guidance, I began to receive E‑mails from a nun here at St. Joseph’s Monastery. At the time, I only knew enough about the community here to know that they were a cloistered, contemplative community in Whitesville, KY (wherever that was?). I knew that they rarely, if ever, left the Monastery. (I honestly did not even remember giving them my name, but then again I did not remember giving my name specifically to many other communities.) In one of the very first E‑mails I received from this nun, she asked me if I knew a particular girl. Not only did I know this girl, but she is my sister. What blew me away even more was the fact that the name this nun asked me about was my sister’s married name. How she, a cloistered, contemplative nun knew my sister was beyond me! Over the course of the next few months, Sister and I exchanged a number of E‑mails in which I learned that she had been a friend of my sister before her entrance here. After a few months of E‑mails, Sister invited me to a Come & See Retreat, a vocations retreat for girls. I was glad for the invitation because I really wanted to meet this nun. It was only an added bonus that I was searching to discover if God might be calling me to religious life. In my mind, I was mainly coming to meet this nun. Wow, did God ever have more in store for me that memorable winter weekend. By the time I left the retreat here, I knew that God was working in my life more than I knew and He truly had me on an adventure. For the first time, I believe I was honestly open to the idea of cloistered, contemplative life, but was not yet ready to admit this. 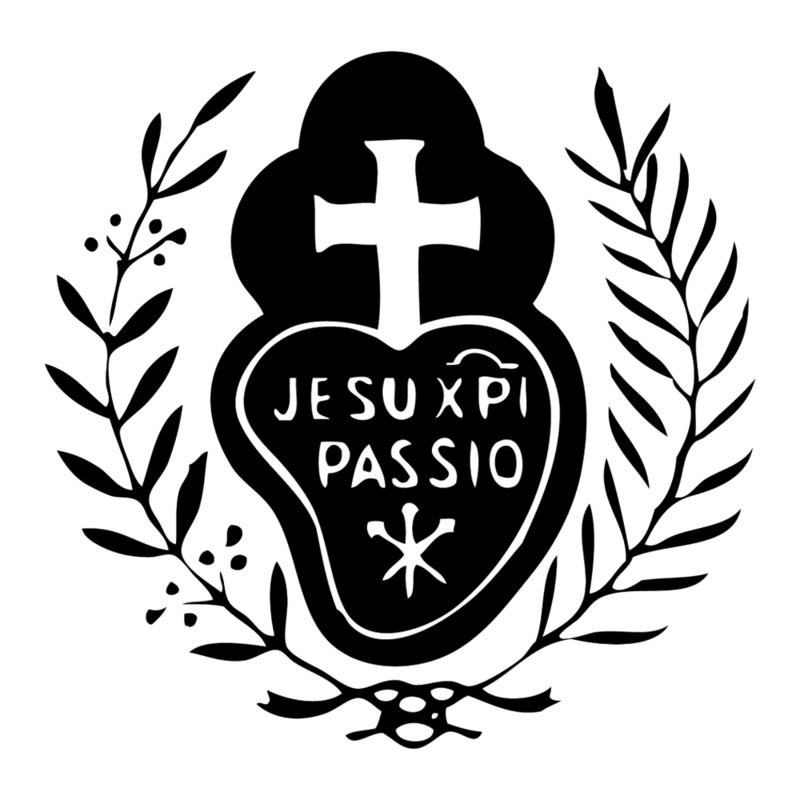 After this retreat, besides the busyness of the last semester of high school, my days began to be filled with more and more prayer and contact with the Passionist Monastery via E‑mail. Quickly, these E‑mail contacts just were not enough. I knew I needed to have a spiritual director who I could talk with on a regular basis. I tried taking the reins back from God as I searched among priests and religious in my diocese. Finally, I shared with the nun I was E‑mailing here that I needed her help in finding a spiritual director. Immediately, she set me up with the novice directress here and I began coming for spiritual direction. A few months later, I was ready to admit to the nuns here that I was ready for God to lead me on the adventure of trying life here at the monastery, even though it would mean leaving behind the idea of using my Sign Language skills. I was able to say that if God wanted me to use this skill that He would have to be the one to make the opportunity come up. It took me quite a bit longer to be able to admit this readiness to my parents and others back home. Ever since God gave me the courage to tell them, I have never been on a better adventure, one that I am confident will never end, even in such a small place as Whitesville, KY.